2013 was an amazing year! All together we raised over $410,000 for the missions of Perception Funding and our Ministry Partners. It has been a blessing to see the Lord work in so many ministries and to see their impact on the kingdom of God increase. We are excited for what's ahead in the new year. As we bring Sean Fay on staff this month we hope to widen our impact and teach our Ministry Partners new things to help them fund their missions. This past fall Olathe Young Life celebrated their 15 year anniversary. 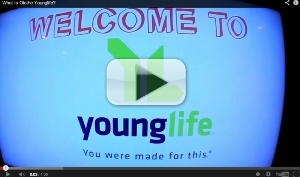 To commemorate the occasion, they created a special video of people involved in their community – current and past Young Life kids, leaders, committee, and staff helped to share the story of Young Life and it's impact in Olathe. Take a look at this awesome video, created by two Olathe Young LIfe alumni who generously donated their talent and time. Sean Fay will be joining Jonathan and Joy Klee as a part-time staff person on January 15. Please pray for the needed funds to hire Sean full-time as we are just $3,000 shy of our goal. Also pray for each of us to be filled with grace and patience as we learn to work together as a team.